Should Hero Bans be Implemented in the Overwatch League? As Overwatch adds new heroes and people start to get tired of the game, players have started to debate the merits of adding a hero ban system to the game, similar to MOBA games. A lot of Overwatch players are talking about "Hero bans" where each team gets to ban a hero per match. Rainbow 6 introduced Operator bans earlier this year and oh boy... The bans are excellent. It will improve your game while making matches more enjoyable and diverse. Do it. How Would Hero Bans Work? In a game where hero bans are allowed, each team would have the ability to vote to ban the opposing team from using one specific hero. This is particularly important if one hero happens to be very strong in a meta. Justin "Jayne" Conroy, coach of the Dallas Fuel, echoes these sentiments and even hosted an unofficial tournament that tested out the hero ban system. There was also a rule that teams could choose to "protect" certain heroes from bans, adding in another level of intrigue. Analysts at the tournament found it interesting that teams had to study their opponent, be flexible with their hero pool, and know specific strategies per map in order to adapt to their opposition and win. If Blizzard could test out a hero ban system on the PTR or the casual Arcade modes, players could give good feedback on how effective the format is and how to tweak the system to optimize it. Hero bans in a game where you can mirror picks make no sense. Thank you for your time. Luis "Greyy" Perestrelo, a support player for the Paris Eternal, states that a counter-argument to including hero bans is that since teams can "mirror" picks, hero bans would be pointless. In other words, both teams will end up banning the same hero and end up picking the same team composition regardless of the hero ban. Another strong counter-argument is the current lack of heroes in the game. While League of Legends has almost 150 heroes at this point, Overwatch has only around 30. The concern then would be a lack of heroes for players to flex to; for example, banning Reinhardt would completely eliminate many shield-based compositions. 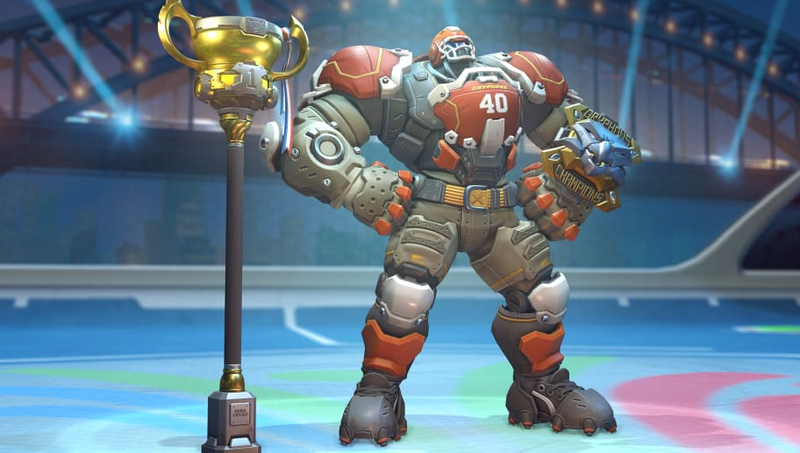 As new heroes are added, perhaps further iterations of the OWL will include hero bans. But as for now, season 2 of the OWL begins on Feb. 14. In the meantime, take a look at the rosters of every team. The broadcasting talent for the 2019 season has been revamped as well.